If you were a young metalhead who looked forward to attending Ozzfest every summer, 2004 was a monumental year. It was a year that saw the release of Lamb of God’s Ashes of the Wake, Killswitch Engage’s The End of Heartache and Shadows Fall’s The War Within, all of which I considered before ultimately deciding upon Mastodon’s Leviathan for my contribution to our list of 10-year anniversary tours we’d like to see in 2014. 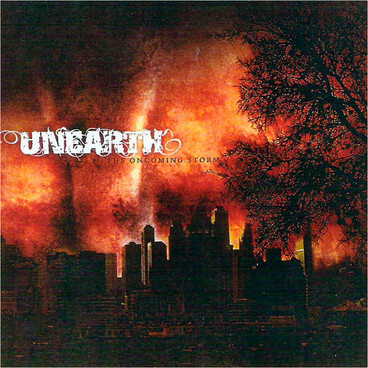 Another album I thought long and hard about was Unearth‘s The Oncoming Storm, a perfect, um, storm of shredding riffs and crushing breakdowns that were accompanied by some of the catchiest and most memorable chants of a metalcore movement that was taking the scene by, well — storm. Ok, I’m done. Of all the potential 10th anniversary tours I considered, this one always seemed like the most likely to actually happen. The band seems to recognize this was their creative peak even to this day, as the hits from The Oncoming Storm still make up half of their standard setlist. But now that the tour has been officially announced to kick off at the end of May, I can look forward to hearing some of those deeper cuts I never got a chance to see performed live. Support on all dates will come from Texas in July, Cruel Hand and Armed for Apocalypse — three bands that didn’t even exist in 2004. Tour dates are listed below.